2015 saw a number of changes made to the Prize and Exhibition. As well as making it part of a larger book arts festival, Opening Up The Book, we also responded to the findings of a Survey of participants and visitors conducted after the 2013 event. The survey comprised feedback from several hundred respondents: it was overwhelmingly positive but raised a number of issues that we tried to take on board going forward. 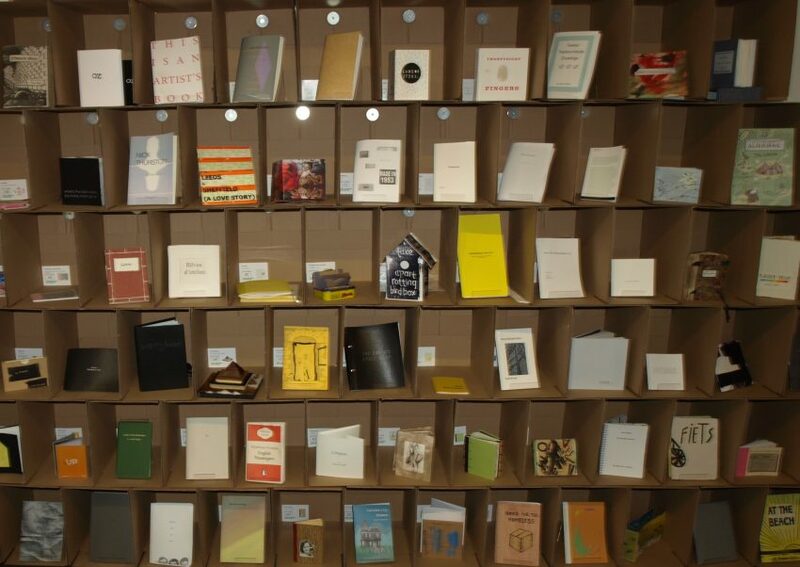 For 2015, we have tried to retain faith in our main objectives: promoting the medium of artists books; providing opportunities for viewers to handle and engage with artists books; an event open to anyone and free to enter; and one which allows artists to define what is on show and shows the full spectrum of artists books. To solve the problem, if problem it was, of having to deal with an ever growing number of entries to the Book Prize, the decision was taken in 2015 to restrict the number of entries shown in the Prize exhibition itself. The CuratorSpace platform was used to allow for an online submission process for the first time. The interface was adapted to suit the requirements of the Book Prize. This allowed us to retain the important aspect of an open submission event but potentially be able to limit the number of books exhibited, in the interests of showing a more manageable number both for visitors and organisers. The main changes made were: moving to a digital submission process; limiting entries to one per artist; only permitting entries made during the last two years; making a selection from the total submission although guaranteeing to show at least 250 books; selecting a list of winners rather than just one; touring an exhibition of winning entries in 2016 as opposed to offering prize winners their own exhibition. The latter initiative fell victim to problems within host organisation, Bank Street Arts, and at the time of writing this entry in early 2019, the future of the Book Prize itself still remains up in the air. 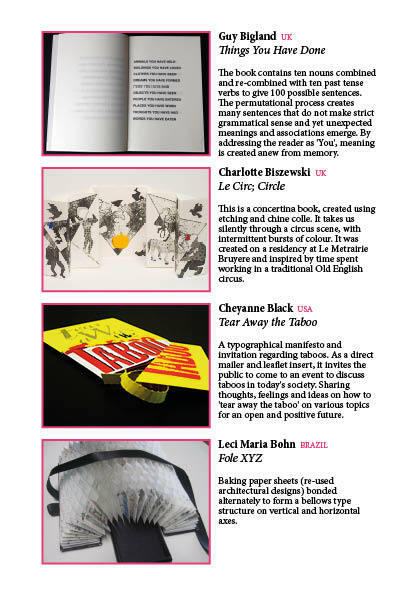 The Catalogue for the 2015 Sheffield International Artist’s Book Prize is made up of 10 A5 booklets in a slip case and includes all entries in this year’s exhibition as well as articles by Alice Bell, Sarah Bodman, Andy Campbell, Glenn Holman, Sharon Kivland and Maria White. The catalogue is a limited, numbered edition of 250 copies and the price is £30 (plus postage and packing if catalogue is to be mailed out). For a limited period we are offering the catalogue to participants at cost price of £25 to include postage and packing. You can order now via the link here. Congratulations to all the winners and great thanks to everyone who contributed this year, the standard of work was unbelievably high!